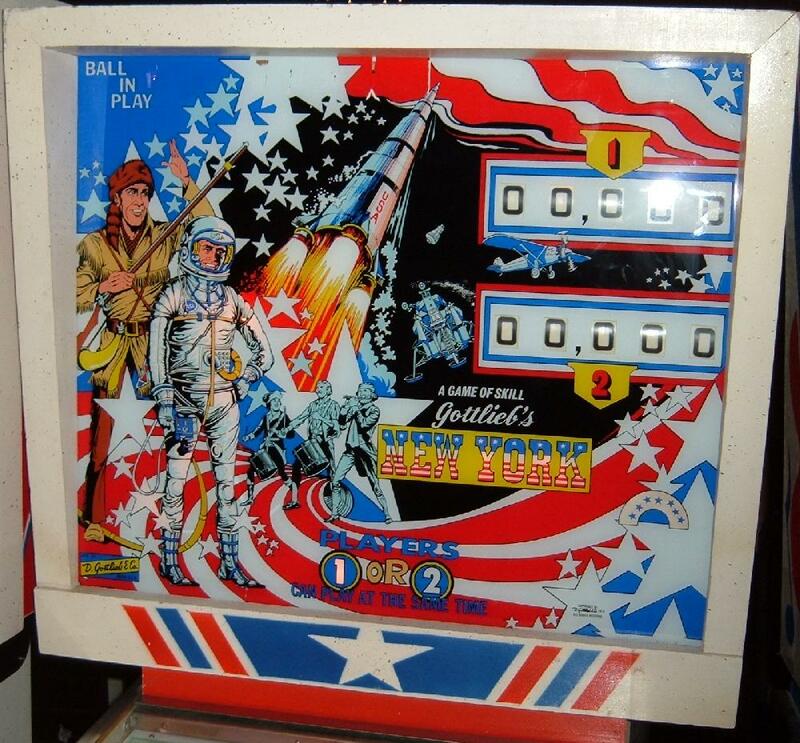 Description: Gottlieb Spirit of 76, Gottlieb Pioneer pinball, Gottlieb New York pinball. Same game, just different number of players (4 players versus 2 players). Gottlieb sold this game design in the two flavors, though they are essentially the exact same game (with slight artwork differences). 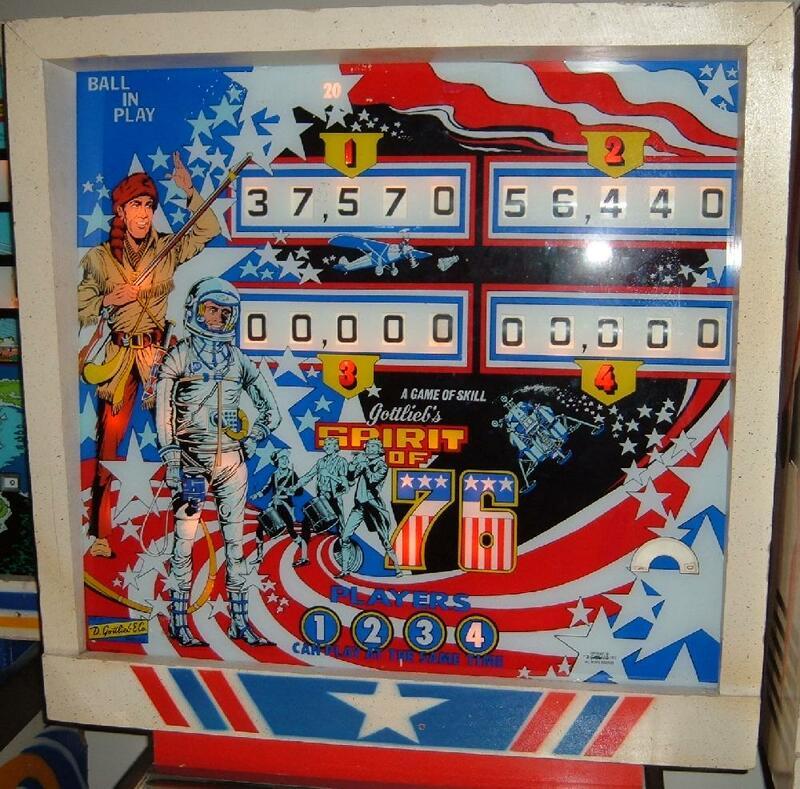 The 2 player version (Pioneer) had a lower price than the 4 player (Spirit of 76), and was marketed to game operators with less money to spend. 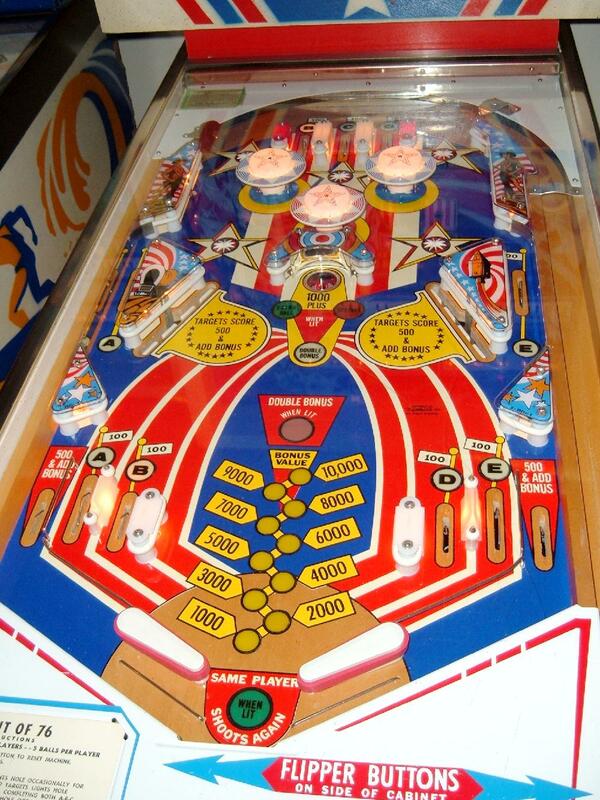 The game New York was the same design, but celebrates the lifting of the ban on pinball in New York City. 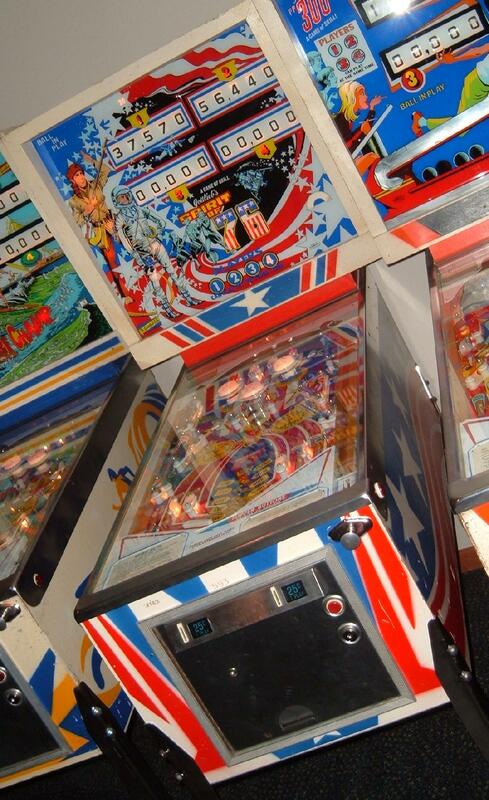 They made 10,300 Gottlieb Spirit of 76 pinballs, and 3625 Gottlieb Pioneer pinballs, and 300 Gottlieb New York pinball machines.